In 1915, it is believed that there isn't much hope for a woman beyond marriage. Yet Abi Leigh Hensley, lover of the written word, believes otherwise. Growing up as the daughter of a wealthy lawyer in the gold mining town of San Francisco, Abi never felt like she fit in with her parents' stifled lifestyle. And though she's been raised to believe that her lot in life is to marry, she's always loved to read and write and has dreamt of being an author all her life. After her parents' failed attempt at an arranged marriage, Abi leaves the comfort of her wealthy upbringing in San Francisco to pursue her dreams of becoming an author in New York City, a city she has always loved. Excitement seems to loom around each corner, yet Abi may be in for than she bargained for. 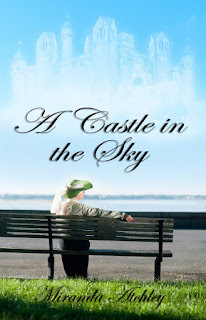 Full of hopes, dreams and self-discovery, A Castle in the Sky is a novel fans of historical fiction are sure to love. I thought this was a sweet story. In an era when women were expected to get married and be taken care of by their man, author Miranda Atchley has created a female character that defies those norms. Abi is a strong-minded female determined to become an author even though it alienates her from her family. I liked her independence and even liked some of her innocent assumptions about life. I liked the friendships that Abi made that caused her to grow and mature as a person and as a writer. 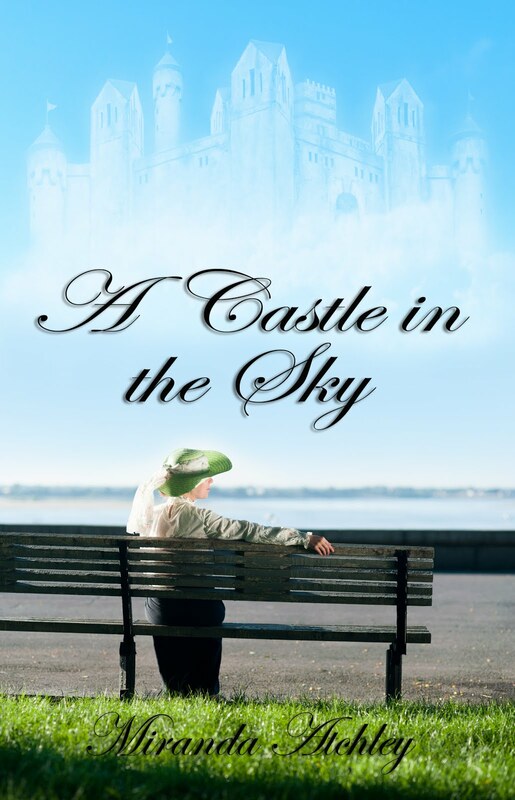 The message that I took away from the story was that pursuing our dreams sometimes requires sacrifice, but achieving those castles in the sky will bring great happiness and fulfillment to our life. I look forward to a sequel to A Castle in the Sky to see how Abi's career is progressing. You're welcome Miranda! I enjoyed winning the signed copy and the note was sweet. The comb is very pretty and fits well with some decorations on my dresser :) Thanks for stopping by!